Finally the defense housing authority Lahore Multan chapter has completed the balloting results uploading. Now all categories of plots are online. Any body who submitted his application for an type of plot can check his fate. Whether he/she applied for commercial plots category or residential plot category. 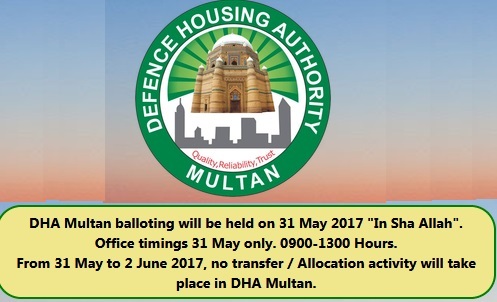 DHA Multan administration hold the balloting / draw ceremony last week on the Wednesday, May 31, 2017. It took 9 days to upload the total results data. That eight days the applicants and investors wait several hours daily in search of their ballot results. They wondered here and there on the cyber space. Some tries to contact DHA Multan officials personally. Some picked up their mobile phones to get the latest update regarding the results. It is 02:00PM of Pakistan Standard Time. There is great load on the the DHA Multan official website. The DHA Multan website response is very slow. You can not access its website for minutes of delay. Please wait for some time to get access the balloting result. Today. 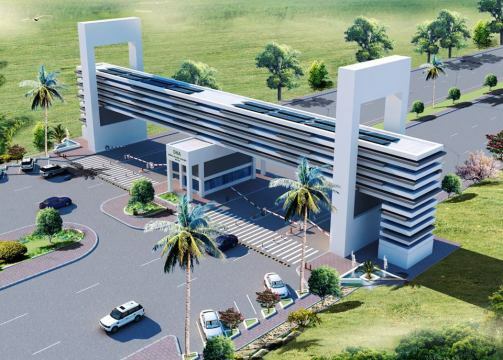 This over burden is due to uploading of 5 Marla Plots (Residential) balloting results.. It is expected that till evening this load will became normal. DHA Multan started his uploading process from the more costly to cheep plots. They online the data of 8 Marla Commercial, Then 4 Marla commercial plots balloting result was uploaded. How to Check the ballot Result? Note :Only 4 & 8 Marla (Commercial) , 1 & 2 Kanal and 10, 8 & 5 Marla (Residential) applications will be displayed. Write your CNIC, Size and Category of Plot, If you want to get result in comment sections (Leave a Reply) of this web-page. After completing the uploading of commercial plots data, The DHA Multan management started to upload the result data of residential plots. So the at the top priority was 2 Kanal plots. They uploaded the 2 Kanal (40 Marla) plots balloting data. Then the Result of balloting of 1 Kanal (20 Marla) was uploaded. After completing the Kanal plots, then small residential plots data was uploaded. 10 Marla balloting result was uploaded, Then 8 Marla and at last the 5 Marla (125 Squire Yards) plots data of balloting became online. Why the Uploading of balloting Results so late? Why the uploading process was so slow?. It is still not confirmed. It was estimated that almsot 3,00,000 applications has been received to the DHA Multan. DHA has own SOP for the declaring the balloting results. In past this SOP had ebb followed. In current situation whether this process has been adopted. But the questions from different corner of society are still answered. Dear Ahsan Sarwar your lot balloting result of DHA Multan. Dear Abdul Samad Your Result of Balloting the 5M Plot in DHA Multan. Dear Fahad Hameed Your Result of Balloting the 5M Plot in DHA Multan. Dear Muhammad shahid Good luck next time. Dear Shahina Asghar good luck next time. The DHA Multan Database link is down. please wait. Dear Waseem Abbas Your 5M plot balloting result of DHA Multan is as under. Dear Muhammad Awais Your 5M plot balloting result of DHA Multan is as under. Dear Syed Faran Your 5M plot balloting result of DHA Multan is as under. Dear Muhammad ismail Your 5M plot balloting result of DHA Multan is as under. 8 Marla plots DHA Multan Balloting. Dear Muhammad Sadiq Your 8M plot balloting result of DHA Multan is as under. Dear Ch. Iqbal Hassan. 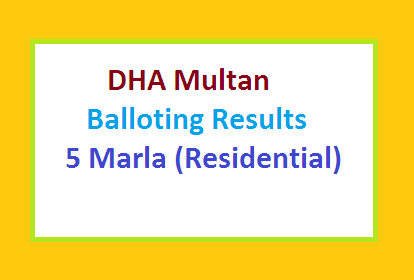 Your plot balloting result of DHA Multan is here. Dear SHABANA KHALIL Your 5M plot balloting result of DHA Multan is here. 3740505994688 for 5 Marla plot . Dear Fouzia Bano Your 5M plot balloting result of DHA Multan is here. Dear Muhammad Munir Your 5M plot balloting result of DHA Multan is here. Dear Muhammad Shafique Your 5M plot balloting result of DHA Multan is here. 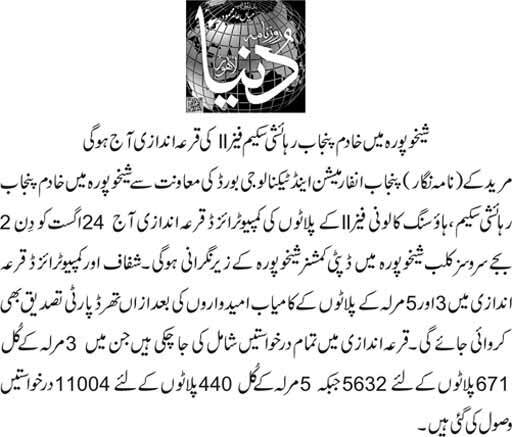 DHA Multan balloting was all fraud. billion of rupees eaten up by DHA in form of registration fee. more than 97% applicants failed and few loved ones got multiple plots. CNIC#3520296504179 Kindly update me regarding 5 Marla balloting result. Dear Saqib Shaukat Your 5M plot balloting result of DHA Multan is as under. Dear Tanveer Bhatti Your 5M plot balloting result of DHA Multan is as under. Dear Rabia Naz Your 5M plot balloting result of DHA Multan is as under. Dear Riaz Shah Your 5M plot balloting result of DHA Multan is as under. Dear Muhammad Illyas Your plot balloting result of DHA Multan is as under. Please tell me about 5 marla residential plot. Dear Parveen kausar Your 5M plot balloting result of DHA Multan is as under. Dear Muhammad Hamid uddin Your plot balloting result of DHA Multan is as under. Dear Syed Masood Ali Your 5M plot balloting result of DHA Multan is as under. Dear Raees Imran Your 5M plot balloting result of DHA Multan is as under. Dear Abdul Rauf Your 5M plot balloting result of DHA Multan is as under. Dear Saqib Your 5 Marla plot Balloting Result of DHA Multan is as under..
Dear Kiran Naz . your balloting result pl. Dear Ahmed Iqbal your balloting result pl. Dear M.Hamza shakoor Your 5Marla plot Balloting Result of DHA Multan is as under..
Hi, this is Jonathan Ozem with nic# of 43304-4590715-5 an applicant of two 5 Marla Residential plots and a 7 Marla Residential plot. Your 5 Marla plot Balloting Result of DHA Multan is as under..
Oh thanks, well when will the 7 marla’s result be online & can you inform date? Dear Saba Mustafa Your 5Marla plot Balloting Result of DHA Multan is as under..
Dear Said Ali Shah Your 5Marla plot Balloting Result of DHA Multan is as under..
5 Marla Mrs Rubia Irshad 42201-4624414-2, balloting result is as..
10 Marla Dr.Irshad Waheed 42201-0867527-3. balloting result is as..
Dear Ahmed Saeed Your 5Marla plot Balloting Result of DHA Multan is as under..
Dear Ghulam Jaffir your plot application balloting Result is as under. Dear Muhammad Sajid your plot application balloting Result of 5M is as under. Dear Syed Amjad Ali Shah your plot application balloting Result of 5M is as under. Dear Saima your plot application balloting Result of 5M is as under. Dear Ghulam Shabbir your plot application balloting Result of 5M is as under. Dear NIAZ AHMAD . your plot balloting Result is as under..
Dear Muhammad Muzammil . your plot balloting Result is as under..
Dear Humza . your plot balloting Result is as under.. Please send me CNIC # and category of plot..
3630290656051 Residential plot 10 Marla . Kindly check results? Khawaja Muhammad Zafar Iqbal. 5 marla residential plot. Tahira zafar. 5 marla residential plot. Dear Waqar ullah. Sorry for inconvenience. Your balloting result is as under. Dear Mueen Your balloting result is as under. Dear Adnan Your balloting of 5M result is as under. Dear Muhammad Ali Your plot balloting Result of 5M is here..
Dear Muhammad younis sheikh Your plot balloting Result of 10M is here..
Dear Muhammad Farhan Malik Your plot balloting Result is here..
Dear Ali Talib Your plot balloting Result of 5M is here..
Logon k comments dekh k umed tu nahe hai lekan show me my result. NAB, Supreme court of Pakistan and human rights commission of Pakistan should take stock of this huge, sophisticated and systematic financial scam perpetrated under the auspices of most influential institution of the country. impoverished, under privileged and most marginalized segments of society have been fleeced under broad daylight. If this instance of modern era thuggery is allowed to go unnoticed, countless hapless citizens of this country will continue to suffer under grinding poverty. Dear Shahzad Khurshed. your balloting result of 5M is here..
Dear Imran Yahya Zahid your balloting Result of 5M Plot application is here. Dear M. Usman zaman your balloting Result of 5M Plot application is here. kindly notify me about my result through email. thank you. Dear Aasfa Iqbal your balloting Result of 5M Plot is here. Kindly, tell me my result. Thanks! Bashir Ahmed nic# 3740502738731 5marla result? i could not fiind the reaults.of.balloting. 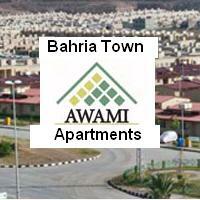 i wana sell the file of 10 marla residential plot in DHA Multan…. your 5M plot balloting result is here ..
Dear Kahkashan your 5M plot balloting result is here ..
n your plots balloting result is here ..
Dear Nusrat your 5M plot balloting result is here .. Residential plot …. kindly check this and let me inform !! Dear M Tasawar Fany your balloting result of 5M plot is here. Dear Ghulam Abbas your balloting result of 5M plot is here. Dear Ibrahim Shah your balloting result of 5M plot is here. Dear Muhammad shaukat Hayat your balloting result of 5M plot is here. dont waste your time now coz u have already wasted your money….SHAME on DHA MULTAN!!!! nice way to cheat innocent people. Dear Ilyas.. your balloting result of 5M plot is here..
Dear Muhammad Asif your Balloting Result of 5M plot is as under..
Dear Shahida Pervin your Balloting Result of 5M plot is as under..
Dear Hafiz Sahab..Your 5M Plot’s Balloting result is as under..
5 marla balloting result required. 5 marla residential plot balloting result. 5 marla balloting results reply. Due to over load the response from DHA Website for balloting Result is dead slow… Wait pl. 5 marla balloting results plz reply me. Dear Asif your 5M balloting Result is as under. Dear Maroof elahi Your Marla plot Balloting Result of DHA Multan is as under..
Dear Shamur Rehman Your Result of Balloting the Plot in DHA Multan. They cheated Maryam, among my 50 friends non of them got any except 1 for 2 kanals.It was a planned crime!!!! Wht do u say abt the winners?? ?is it fraud?? ?